What I learned from Frito-Lay's CMO - Hotspex, Inc.What I learned from Frito-Lay's CMO - Hotspex, Inc.
For the past four years, I have attended the Gathering of Cult Brands conference in Banff to absorb insights from top CMOs and marketing leaders. You can see the top 10 insights from this year’s summary here, but in addition to those 10 insights, I wanted to highlight 3 additional insights that I gathered from having the incredible pleasure of meeting Jennifer Saenz, Chief Marketing Officer at Frito-Lay North America. Think about how much technology, media, and e-commerce have evolved in just the past few years and you’ll quickly start to develop empathy for how dramatically the CMO role is changing. In the FMCG space, market leading brands are facing incredibly competitive environments as technology has dramatically increased consumer access to, and awareness of, emerging brands and products. The ever changing digital landscape is demanding that market leaders become nimbler and more agile and are also leveraging their technology foundations to personalize at scale. This is forcing CMOs to build new skills, such as becoming more tech savvy, creating and analyzing first party data more deeply, and even directing M&A activity to round out their portfolio’s response to consumer demand spaces. 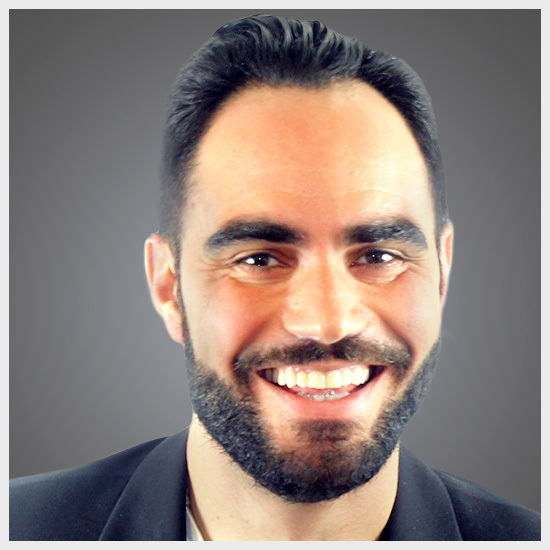 Whether it is acquiring new businesses or developing them internally through organically developed brands, CMOs are responsible for balancing their entire portfolios, not dissimilar to the way a fund manager attempts to create a well-balanced investment portfolio tailored to the risk-reward profiles of their investors. Today’s CMO must be a generalist, surrounded by specialists, and while this can feel overwhelming, it also means that the role is rich in terms of the personal and professional growth it offers. At the consumer level, marketers need to think beyond their category, brands, and consumption occasions by putting on a social anthropology lens to investigate societal trends and cultural shifts. Jennifer and her team have used this approach to stay attuned to consumption patterns, snacking perceptions and behaviors. Widening the lens beyond the context of consumers shopping your category can lead to deeper human truths that ultimately lead to better innovation ideas and big ideas for campaigns, rooted in deep consumer insight. Another look at macro-level societal trends uncovers that people around the world are refocusing on themselves, holding their individual preferences at the same value as others. This had led to the rise of the concept of ‘personalization at scale’, as marketers need to find a way to create a 1:1 relationship with each consumer. Whether it is your innovation pipeline, your advertising, or even your packaging, you need to find a way to be relevant to each and every consumer in a way that is authentic to him or her. 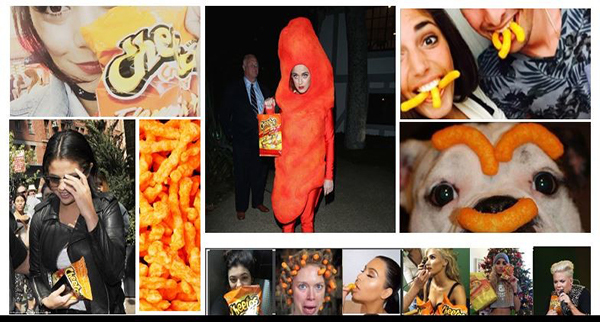 Cheetos and several other Frito Lay brands, have demonstrated personalization at scale across several touch points to create consumer followings. Whether it was launching a Cheetos restaurant in NY that ended up having a waiting list of 8000 people, running incredible contests to create the next flavor of Lay’s chip, or personalizing packaging to better meet family needs through multi-pack offers, Jennifer and her team have identified ways to add value to individual consumers in a personalized manner. In addition to going ‘broader’ to understand social context, marketers also need to go ‘deeper’ to understand cognitive psychology and the behaviors that ensue from that psychology. Jennifer described that her team has one guiding principle in rounding out the Frito-Lay portfolio of brands to fulfill the broad set of consumers needs states: they will not launch a new food product unless it is delicious. While this may seem like a very simple principle, how many food innovations have launched and been de-listed just as quickly as they hit shelves, because they’ve missed on this very simple principle? Consumers value healthy and sustainable product offerings, and while this is impacting consumers decision-making and purchase behavior it is not expected to mean sacrificing great taste. Thus, Jennifer and her team at Frito-Lay apply a deep understanding of consumer behavior by taking into account both the conscious desires and preference mandatories that consumers have towards their categories and products. This allows them to continue to launch winning propositions and maintain their market leadership position. While the insights I’ve shared here are focused on providing some ideas on how to successfully navigate the seismic shifts affecting CMOs and their marketing departments, I would be remiss not to mention one final insight that Jennifer uncovered for me at the Gathering. Several stories Jennifer shared from her journey as a PepsiCo intern to becoming the CMO thirteen years later, all had one thing in common. That common thread was that consumers and internal team members are human beings first and foremost. The more you can remember that it is ‘people’ who run our brands, and ‘people’ who buy and consume our brands, the more empathetic you will be to your most important stakeholders and the better decisions you’ll make. You’ll also probably enjoy your work all that much more. I am incredibly grateful for having had the time to meet such an incredible leader and I am equally grateful to the Gathering team for putting on one of the best events the marketing world has to offer.